This 20.0 cu. 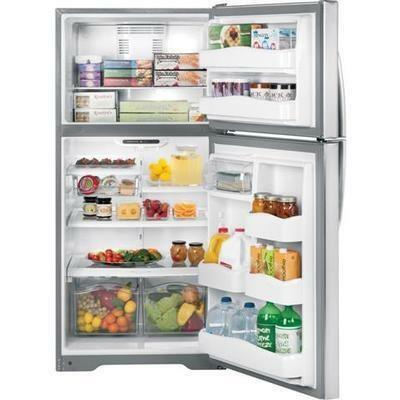 ft. capacity top-freezer refrigerator is Energy Star® qualified. 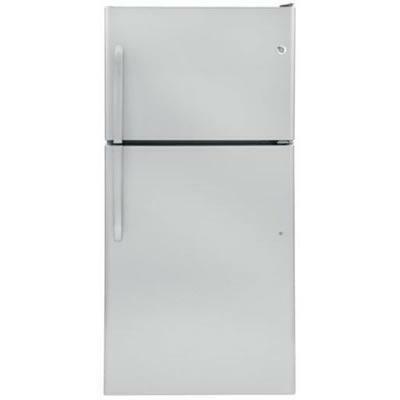 With 2 freezer door bins, Spill Proof Freezer Floor, Upfront Electronic Temperature Controls and other features this appliance would fit your needs and your kitchen. Additional Information Easily Removable Door Gaskets, NeverClean Condenser. 1 Ice N' Easy Tray. Spill Proof Freezer Floor. 4 Total Fresh food bins. 3 Adjustable door bins. 4 door Gallon Storage bins. Temperature Management: Air Tower in Freezer. Freezer Cabinet Shelves: 1 Full Width and 1 Total. 2 Front adjustable rollers.